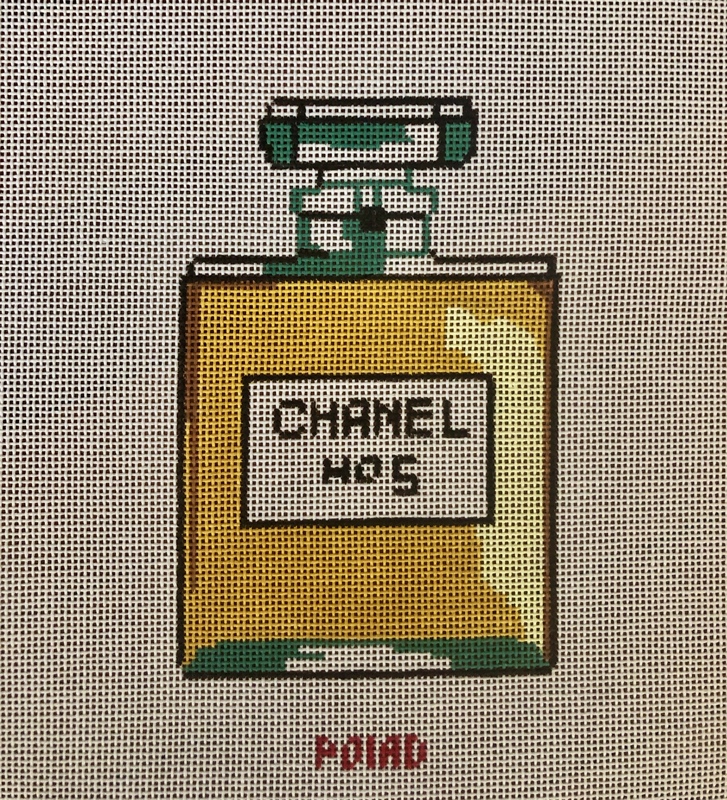 Chanel No 5 canvas painted o 18 mesh. Size is 5" by 3". Would make a great ornament or pillow. If you wish this kitted please choose your thread choose from the suggested products below.